Biodegradable, beautiful beach toys have landed on our sandy shores! My family has already spent a huge part of this summer at the beach. It’s our second home, and my children just adore it. I have to admit, I’m one of those mums who lugs all manner of paraphernalia to the beach, not the least of which is a hodge podge collection of spades, shovels, plastic sea creatures and dump trucks. Invariably the cheap plastic spades, shovels and buckets break under the strain that is being played with by toddlers. 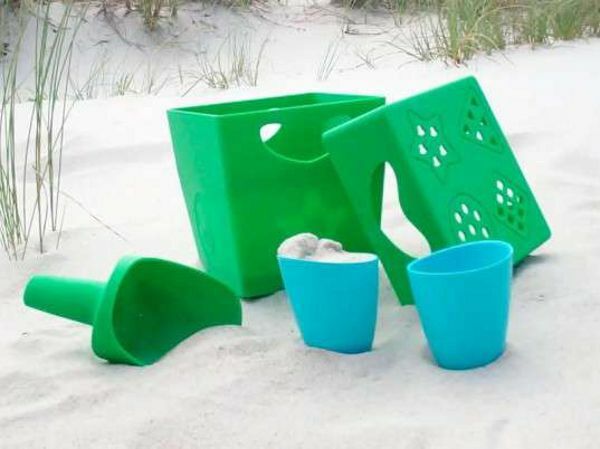 These clever beach toys may well be the solution. The Zoë b Organic range of biodegradable beach toys is now being imported to Australia by Earth Kid. 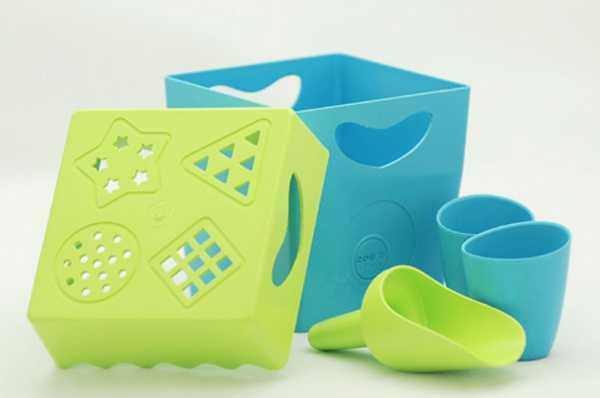 The toys are made from corn and contain no toxic chemicals, are BPA free, ocean friendly and look sturdy enough to withstand plenty of play. The set includes a bucket, sifter/lid, shovel and two cups – everything a child needs to get creative in the sand. And if any of the pieces are washed out to sea (and let’s face it, we all know this happens), the toys will fully break down in two to three years. They are recommended for children over eighteen months old, and the set costs $24.95.